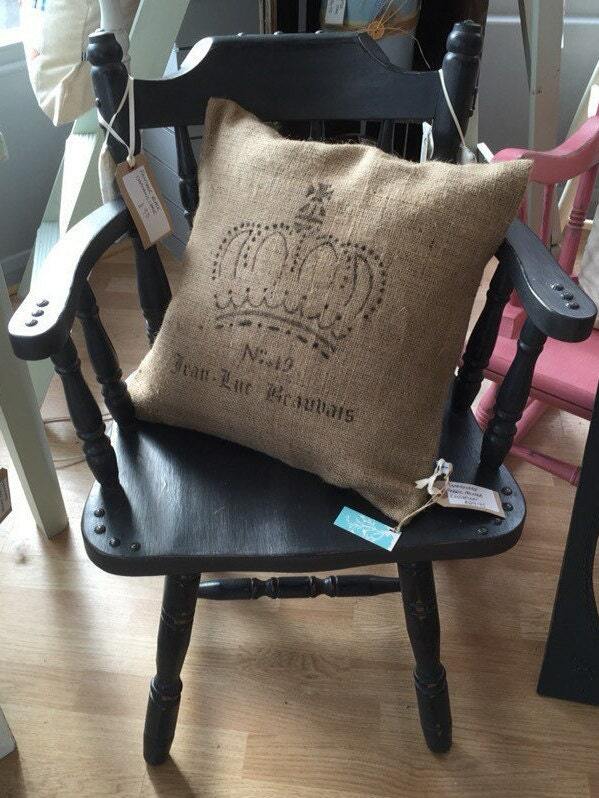 A french style, hand stenciled black fabric painted burlap / hessian / jute cushion with a two button back fastening. 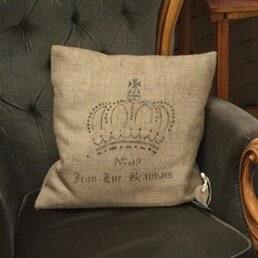 This cushion has a decorative design which features french script / writing and an image of an ornate CROWN. 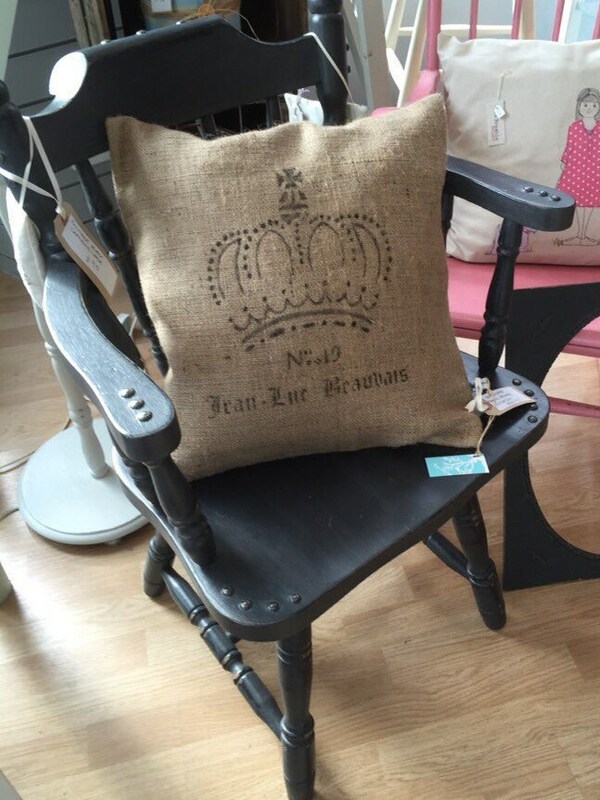 This is a must for all lovers of Vintage Chic and Rustic charm. 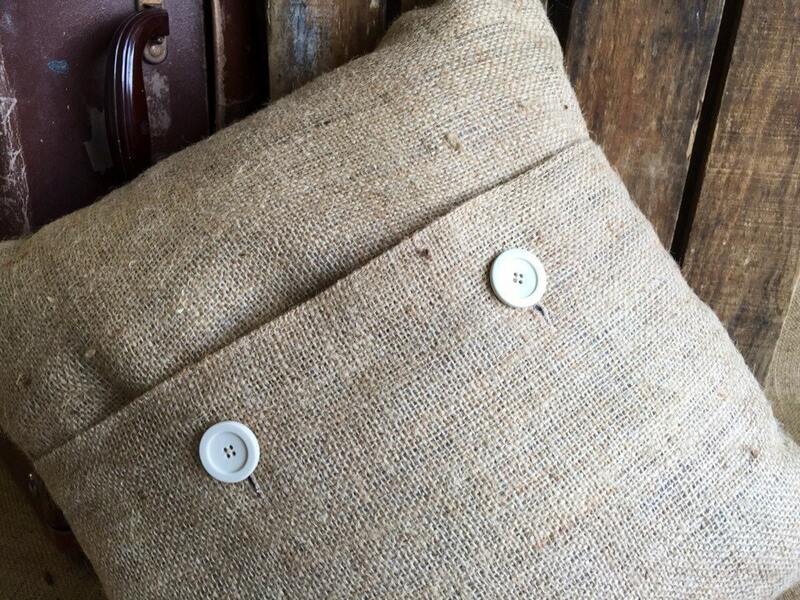 Cushion measures 16" x 16" square and comes with cushion inner. 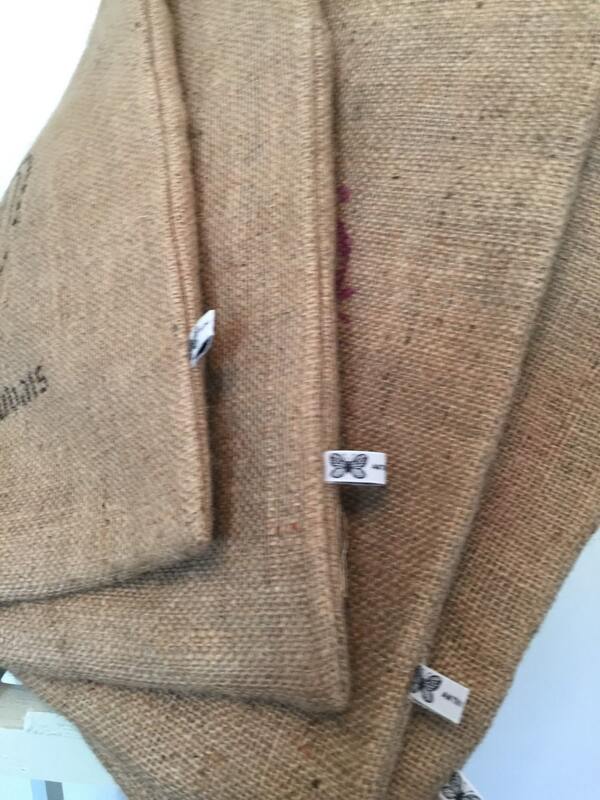 Please see other listings for variation on stenciled design.